One of the biggest beneficiaries of Gov. 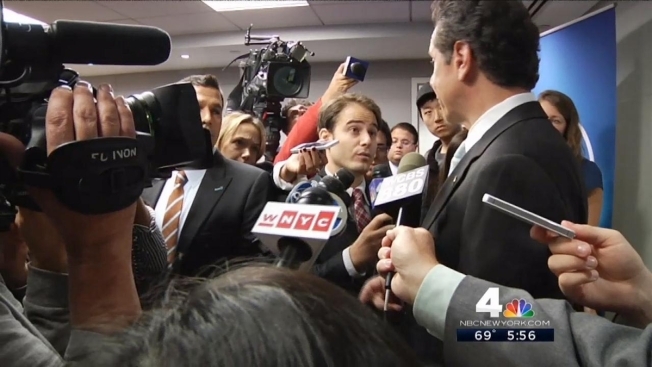 Cuomo's "START-UP NY" program, an initiative designed to give tax breaks to start-up companies planting roots in New York, is not a start-up -- and it has been operating in the state for seven years, NBC 4 New York's I-Team has learned. Liazon, a health benefits business with offices in Buffalo and Manhattan, was one of the first 16 companies to win START-Up tax relief. The tax breaks were approved two years after Liazon received more than $30 million in venture capital -- and eight months after Liazon was acquired by Towers Watson, a mature, multinational company with more than $3 billion in revenue, according to records obtained by the I-Team. Cuomo defended awarding such generous tax benefits to Liazon, saying the word "start-up" does not refer to how mature the business is, but rather that it is creating new jobs within the state. “I don’t care if the company is a start-up,” said Cuomo. "I just want the jobs. If General Motors was going to move into New York in a START-UP zone, [that is] fine." James Parrott, chief economist at the non-partisan Fiscal Policy Institute said it looks like the state is giving tax breaks to a company that was already receiving huge private sector investments and would have expanded anyway. "It’s going to open the door for it to be criticized as an un-needed giveaway,” Parrott said. Empire State Development, the agency in charge of Cuomo’s economic development efforts, administers START-UP NY. The program offers to erase 10 years of sales tax, business tax, property tax and state income taxes for new employees to entice start-ups to plant roots in the state. START-UP NY rules do allow existing businesses to qualify for tax breaks as long as they pledge to expand and create new jobs. But news releases published by Liazon show the firm had been expanding long before it applied for the program. Liazon began operations in Buffalo in 2007. By April 2011, a Liazon news release announced the firm "secured a $12.6 million round of funding," much of it from Bain Capital, a private equity giant that formerly employed presidential candidate Mitt Romney. In April 2012, another Liazon news release announced "$18.2 million in new funding from investors to expand nationwide and develop new products." In late November 2013, Towers Watson paid $215 million to buy the company. Liazon officially applied for START-UP tax benefits in April. Jason Conwall, a spokesman for Empire State Development, said Liazon was considered a good candidate for tax breaks, in part, because of the recent acquisition by a much larger global firm. Representatives from Liazon and Towers Watson declined to say whether there were ever any discussions about moving jobs out of New York, however Sara Pollack, a spokeswoman for the companies, emailed a statement. "To date, Liazon has created 194 jobs and looks forward to greater job growth and investment in New York, through the help of many, including but not limited to Empire State Development,” Pollack wrote. In return for 10 years of state tax bills being erased, Liazon pledged to create 75 new jobs this year and 500 new jobs in five years -– the most promised by any company approved for the START-UP NY program to date. It’s not clear how much those new jobs will pay. Empire State Development blacked out salary information on copes of the START-UP applications, citing corporate privacy rights.